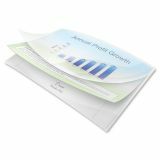 Thermal lamination pouch includes visible EZUse™ features that magically disappear after lamination. Alignment guides make centering documents easy. 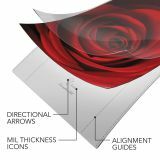 Mil icons clearly identify pouch thickness to help you select the best laminator settings. Directional arrows indicate which edge of pouch should be loaded into laminator first. 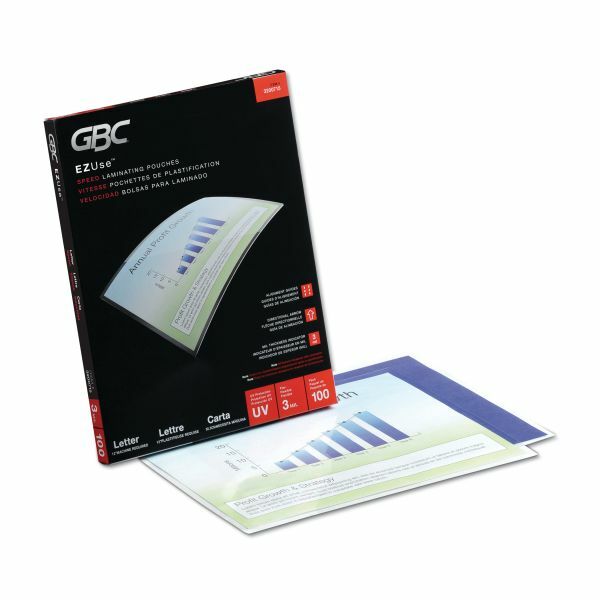 GBC EZUse Thermal Laminating Pouches, 3mil, 11 1/2 x 9, 100/Box - Easy-to-use laminating pouches quickly provide outstanding lamination accuracy. 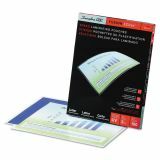 EZUse alignment guides magically disappear after lamination to simplify the lamination process. Alignment guides make centering documents easy. 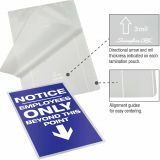 Directional arrows indicate which edge of the pouch should be loaded into the laminator first to prevent confusion. 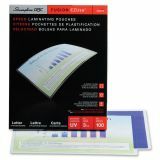 UV protection preserves color integrity and prevents yellowing up to 10 times longer than standard pouches. Letter-size speed pouch is sealed on the long side to enable it to quickly run through the laminating machine for time-saving performance. UV protection prevents fading and discoloration over time. Markings disappear after pouch has been laminated.